-> If you want to meet any of the consortium please contact Jenny Ullrich to make arrangements. 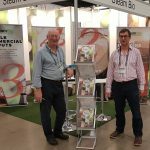 SteamBio welcomed visitors to their stand at the 4th annual IBIOIC event. 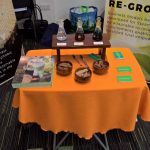 Over 450 visitors attended the exhibition and also had an opportunity to listen to the presentation given by Niall Mackenzie (Strathclyde Business School) and Huw Parry entitled “SteamBio and the Squiggle” it described the evolution of the SteamBio concept from a relatively low value bioenergy focus into a higher value mixed outputs. 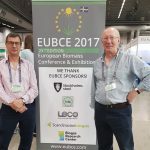 The SteamBio project was presented at the 25th European Biomass Conference at Exhibition (EUBCE). Network New Europe hosted a stand at EUBCE supported by fellow project partners Manrochem and Fraunhofer IGB. 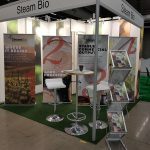 There were over forty active enquiries made to this SteamBio stand relating to both visits to the demonstrations in Spain and potential application of SteamBio to add value to the visitors own market needs. Visitors and enquiries came from both Europe and the wider world. The SteamBio project has been presented at „CommBeBiz – Bioeconomy meets business – Free Webinars“. The SteamBio project has been presented at „The Introducing SPIRE-2014 projects event“ organized by A.SPIRE.